Need to download a screen recorder for Windows, Mac or Linux? Check out the best screen recorder in this list. Screen recorder is a handy tool for recording video, taking screenshot of anything happening on your computer. There are many free and paid recording software for you to try in 2018. Here is the list of the most powerful and professional programs that we’ve reviewed recently. Read also: Top 5 best screen recorders no watermark. Review: ActivePresenter 7 is a popular free, no watermark and no time limit screen recorder for recording full HD video and taking screenshot quickly on Windows 7/8 and Windows 10 – 64 bit. The download package is rather small in comparison with other similar tools. For full review, click here! Features: Record desktop screen, webcam with audio and system sound. Edit video for free and convert to MP4,AVI, WeM, MKV and HTML5. Create screencast video, tutorials or software simulations and elearning courses. Pricing Plan: Free to use for non-commercial purposes. $149 per license for Standard Edition and $299 for Professional Edition. Review: Camtasia Studio 9 is an elegant and powerful screen recording software for creating professional training video, product demos with lots of amazing features. TechSmith allows you to evaluate this program within 30 days as free trial. The download package size is 365MB for Windows and 219MB for Mac’s user. For full review, click here! Features: Record full screen desktop, webcam, gameplay or a locked application with audio and system sound. Edit video with lots of ready-to-use annotations and effects. 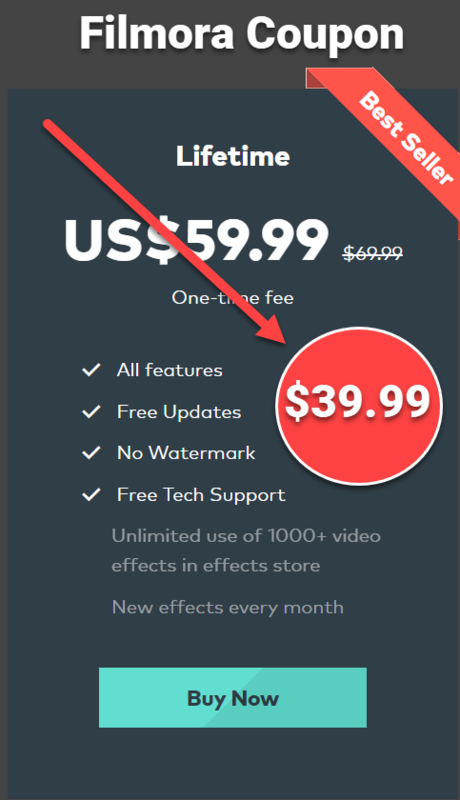 Pricing plan: Free trial in 30 days. $199 for lifetime license. To download your free trial version, please go to TechSmith’s store. Review: Movavi screen recorder is a HD screen video recording software for capturing your desktop’s activities with webcam and audio. It is also possible to record locked application, skype calls and webinar. Read full review here! To download Movavi Screen recorder, please choose Windows or Mac operating system to start. Free trial period is only 7 days and the recording will be watermarked. The download size is only 49MB. Features: Record full screen or customized part in full HD quality, record webcam, audio, system sound, skype calls, webinar and edit video for free. Pricing plan: $39.95 for personal license and $79.95 for business. Review: Snagit 2018 lets you share what can’t be put into words. Easily create custom images and videos for demos, feedback, reviews, and more. Snag any image and enhance it with effects or create a quick video of your computer screen with no time restrictions. Then share your creations instantly with anyone. No matter what you’re working on, Snagit helps you eliminate confusion and provide people with personal, meaningful content. For full review, click here! Features: Capture screenshot, record and edit video, grab text and annotate image for making tutorial. Pricing plan: $49.95 per license. To download this program, please visit TechSmith’s store to continue. Review: Mirillis Action is a powerful, simple to use screen recording software you can trust. It has full functionality from recording screen video, record gameplay, take screenshot, record video from external device via USB or HDMI cable. Besides the basic features of a video-recording software, Mirillis Action offers more advanced features like Chroma key, live streaming and sharing features directly to YouTube and FaceBook. For full review, click here! Features: Record video from desktop, record gameplay, audio, webcam, HDMI device, green screen, record 4K video, add low-third video and taking screenshot quickly. Pricing plan: $29.95 for lifetime license. Review: Bandicam is a simple to use and powerful screen recording program for Windows with 3 recording modes for user to use i.e Screen recorder, Game recording or device recording. Each option is optimized for specific purpose which you can read from their website. For full review, click here! Game Recording: Bandicam makes it possible to record various 2D/3D games with 4K UHD Video and capture up to 144 FPS Video. Screen Recording Bandicam can record everything on your computer screen and save it as video files(AVI, MP4) or image files. Pricing plan: $39 per license. Gilisoft is a safe, easy-to-use screen recording software with necessary features such as: full screen recording, partial screen recording, webcam video recording with system audio or microphone audio. It allows you to record full HD video (1920 x 1080 resolution) up to 30 fps. If you just need a simple software to record screen without any further editing needs then Gilisoft is not a bad choice. Read full review here! Aiseesoft screen recorder is one of the most easy-to-use software for capturing videos and audios on your computer at high quality. Although its free version allows 2 minutes only. Aiseesoft free screen recorder deserves to stand high in the best screen recorders lineup. Full review! Apowersoft Screen Recorder Pro is perfect tool for capturing your desktop monitor and edit recorded videos easily for uploading to YouTube or FTP. It has everything you need to create a high-quality screencast videos. Read full review here! Tiny Take free screen recorder is a simple tool for capturing your desktop with audio for free. It has possible to record your desktop in full screen or customized area as well as integrated webcam recording. You can not record more than 5 minutes in free version. Although it does not leave a watermark, but the lack of video editing features make us disappointed about this program. Read full review here! Flash Back Express is another good free screen recorder for you to try. It can be used to record videos & audios with few video editing tools and export files to WMV. Scheduling recording time is one of the most unique functions in Flash Back Express. There is no time limitation at all. Read full review, click here! xSplit Broadcaster has a free, professional screen recorder for Windows that can be used for capturing input from any source, including your desktop monitor, webcam, media file, an application, video card or a game play at 720p quality and max 30fps. The results will have no watermark and there is no time limitation as well. Read full review here! OBS Studio (Open Broadcaster Software Studio) is perfect screen recorder for games recording and streaming which can produce high quality results with all necessary features for capturing your desktop and webcam without watermark and time limit. It is 100% Free and Open Source. Read full review here! Ezvid is one of the best free screen recorders for recording games and making screencast videos. Capturing desktop screen in various modes, adding Text, pictures and videos and save your footage in WMV. Icecream Free Screen Recorder is an easy to use screen recording software with almost everything you need for making a screencast video, take screen shot, record mouse movements and annotate directly on the screen. You can download and install this software within few minutes. If you know any good screen recording software, please share with us at the comment box so that we can list it here. Elearning Supporter is a trusted place for you to find honest reviews and download packages for free and paid screen recorder for Windows and Mac. Don’t forget to follow us to receive more valuable post notifications in the future.